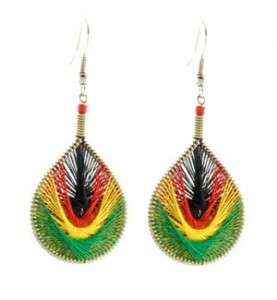 Come together and feel alright with the rasta string earrings. They scream freedom and happiness with a serious fashionable kick. Get your own pair today. Thread Colors: Black, Red, Yellow, Green.